Kids with special needs get special attention. Snip-its stylists, in conjunction with Autism Speaks®, receive special training to meet the needs of children with autism. We were one of the first to provide this unique training for our stylists so coming to Snip-its is a positive experience for children with autism. 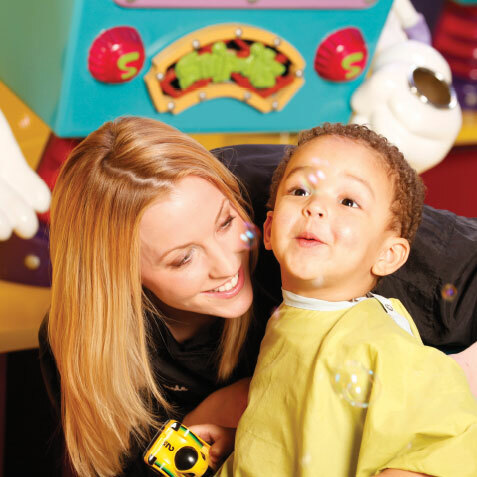 Our Snip-its Haircut Guide has useful information and tips to make your child comfortable about coming to a salon. You can also schedule a pre-visit with your child to familiarize them with the salon and our stylists. Available at participating salons. Contact your local Snip-its to inquire. Watch how Snip-its makes haircuts safe and fun for children with autism. Watch a video about haircutting tips for families of children with autism. Download your FREE printable Snip-its Haircut Guide.